DAMASCUS (Sputnik) - Iran’s military presence in Syria is misinterpreted by Israel amid escalating tensions, Syrian Foreign Minister Walid Muallem said on Saturday. "Iran’s presence does not exist in a way of military presence on the ground in Syria — these are tales told by Israel," Muallem said at a press conference. Instead, Tehran’s presence in Syria is limited to the work of its military advisers on the Syrian Army’s side, according to the official. "Iran’s presence is legitimate as it is based on the request of the Syrian government, unlike the presence of the United States," Muallem stressed. Syria is a sovereign state that has the right to independently choose its allies in the fight against terrorism, the foreign minister noted. Israeli relations with Iran are strained over Tehran's curtailed, yet still existing nuclear program, hostile rhetoric and support for Syria in its fight against terrorist groups. Israeli officials have repeatedly said that Israel would not allow Iran to turn Syria, which has been engulfed in a civil war since 2011, into its military foothold. The Syrian government will provide all the necessary assistance to its citizens who have decided to return to the Middle Eastern country amid the improving situation, Muallem said. "We are seeking the return of the Syrians to their homes. And we will provide all necessary aid to the ones who are willing to return," Muallem said at a press conference. The number of registered Syrian refugees, according to the latest UN figures, stands at over 5.6 million. 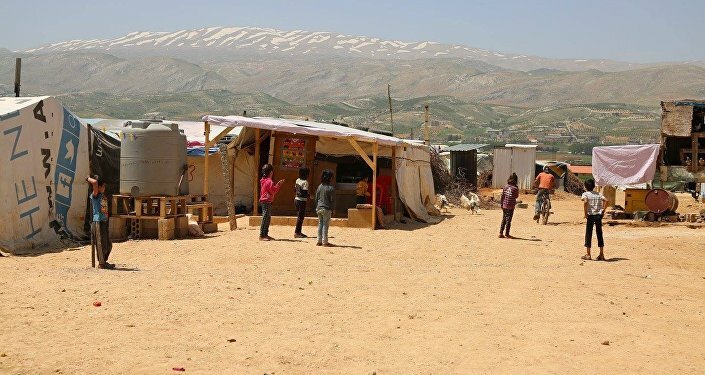 Syrians have been gradually returning to their homes over the recent years due to the reconstruction of destroyed social infrastructure in the country, while the overall situation has become more peaceful and stable. Earlier in the day, Russia’s Syrian reconciliation center said that almost 340 Syrians have returned to their homes in Syria’s provinces of Homs and Damascus’ suburb of Eastern Ghouta over the past 24 hours.